The Glam Hobby Ourlink is small low cost wireless 802.11ac USB adapter. It also is a USB 3.0 so no need to worry about USB 2.0 bottlenecking. The box comes with the dongle, instructions, and a disk with drivers. The Ourlink is compatible with Windows XP, 7, and 10. We decided to do our testing on Windows 10. Plugging in the dongle Windows 10 found it without having to install the drivers with the correct chipset. We installed the latest drivers to be sure. It uses the 8812AU Wireless Chipset. We installed the latest drivers since the wrong driver can greatly reduce a adapters speed and reliability. The first test we did was on the 2.4Ghz Wireless-N side of the dongle. The router is a Trendnet 80211ac router placed 10 feet away with a clear line of site. Using Speedtest.net it maxes out our ISP at 48Mbps down, and 5Mbps Up. The next test of the 2.4 GHz was computer-to-computer on our internal network. The computers didn’t have SSD drives so we copied to a USB 3.0 USB flash drive. 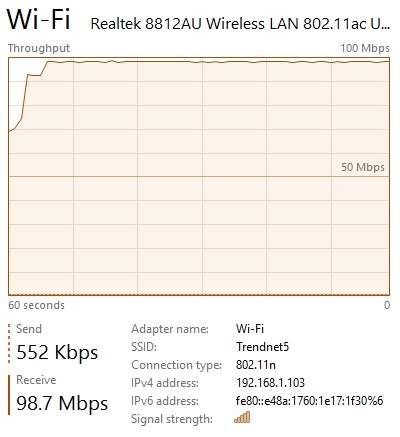 In this test it ran at a solid 98MBps download speed. For the last test we switched over to Windows 7 Desktop, installed the latest drivers and used Iperf3. 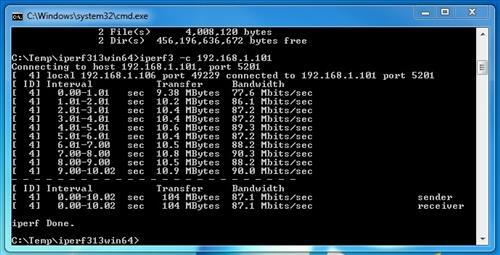 Iperf is a tool for network performance and measuring the throughput of a network. We set it up on our internal network. 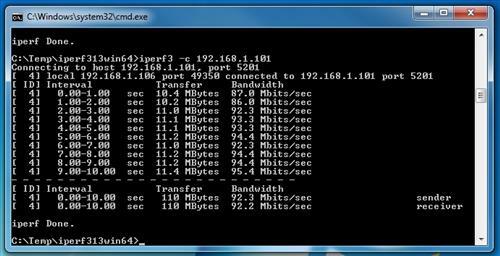 It gave us 87.1 Mbits per a second throughput using the default TCP settings. 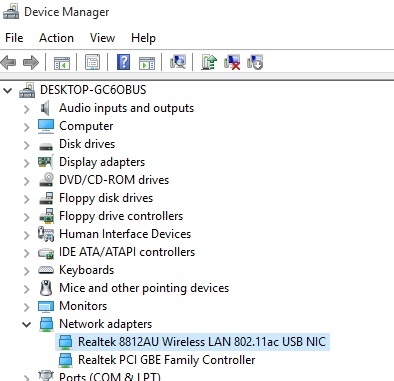 On the 5 GHz side we couldn’t get it to show up as a Wireless-AC dongle and it stayed as a Wireless-N.
We reinstalled the driver and restarted the computer and router and it still stayed on Wireless-N. We are still doing test on this to be sure it is not our Windows 10 machines or 802.11ac router. 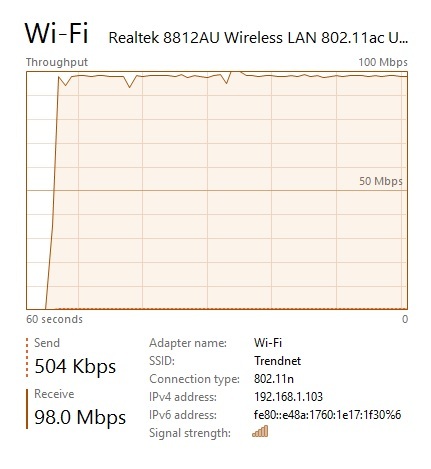 The speed was 98Mbps on our internal network computer-to-computer. Iperf3 in default TCP mode gave us 92.2 Mbits per a second throughput . 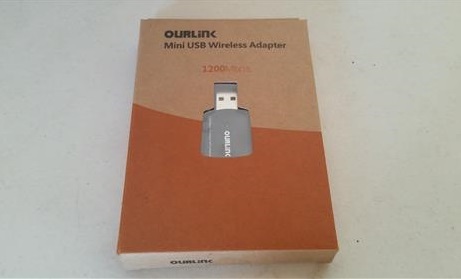 The Glam Hobby Ourlink mini wireless USB adapter ran at almost a 100Mbps down in our test which is good for such a small dongle. We did have problems connecting the 5GHz side to show up as 802.11ac unit. We are still testing it out to see if it is in our equipment or not. There are much faster USB WiFi adapters but they also cost much more. For the price it is a solid WiFi dongle and would be a good replacement for a broken laptops internal WiFi card or even as an upgrade.